DON’T DRIVE IF YOU’RE TIPSY, BUZZED, OR BLITZEN THIS HOLIDAY SEASON! STATEWIDE — It’s that time of year again! Holiday shopping, parties, family gatherings, and other activities keep us on our toes and constantly entertained. During many of these festivities, alcohol is served. The Colorado Department of Transportation (CDOT), Colorado State Patrol (CSP), and local law enforcement agencies statewide want to remind everyone to plan ahead this holiday season with a sober designated driver. A holiday Heat Is On DUI crackdown continues across the state with increased patrols through New Year’s Day. Preliminary reports show there were six fatalities over the past Thanksgiving holiday weekend, four of which were reported as resulting from suspected alcohol/drug use. Additionally, law enforcement agencies made more than 535 DUI arrests during the most recent enforcement period. Last year, there were 45 fatalities on Colorado roadways during the holiday season; 15 of those were alcohol-related. There were also more than 1,680 Coloradans arrested for a DUI from Thanksgiving to New Year’s. MillerCoors, the Regional Transportation District (RTD), Colorado State Patrol, and other law enforcement agencies are all working with CDOT to help distribute holiday impaired driving prevention messages. Among those messages is the fact that it’s not too early to start planning for transportation on New Year’s Eve. MillerCoors will be offering $10 cab vouchers in Fort Collins and Greeley and working in partnership with NO DUI Colorado program in Colorado Springs and RTD is offering free bus and light rail service on New Year’s Eve from 7 p.m. until 6 a.m. on New Year’s Day. Visit RTD Denver for more information at http://www.rtd-denver.com. The average DUI in Colorado can cost up to $10,270, loss of your driver’s license for up to a year and your freedom. Plan Ahead this holiday season to avoid a costly result. Overnight parking locations, sober ride information, holiday planning party tips, and downloadable materials can be found at www.PlanAheadColorado.com. A special thank you goes to the Texas Department of Transportation for allowing CDOT to use its holiday creative materials on the website. To receive real-time updates about road conditions in your area, visit www.coloradodot.info and click on the green cell phone icon in the upper right hand corner of the page. Information about weekly lane closures will be available at www.coloradodot.info/travel/scheduled-lane-closures.html. Live road conditions are available at www.cotrip.org or by calling 511 from anywhere in the state. Updates are also available via Twitter @coloradodot and be sure to “Like” our Facebook page at www.facebook.com/coloradodot. Holiday season has a high risk of DUI accidents because of the parties and activities everywhere. Parents should aware their children during this day to avoid charges and penalties of DUI and minimize stress. Having DUI charges is not an easy thing to go through. 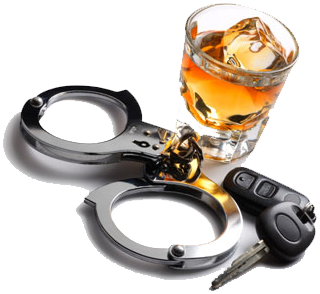 To avoid hassle and stress consult DUI lawyer for more help.